Matai Leuta’s first World Rugby HSBC Sevens World Series try capped a seven-try, 39-0, Tokyo Sevens Bowl Quarterfinal victory for the Men’s Eagles Sevens against Portugal Sunday. With just seconds left on the clock, the Eagles restarted play with the kick from midfield. Leuta ran underneath the ball, stripped it from an attacker, broke one tackle, and fended another defender to score his first career try and bring the final score to 39-0. Mataiyasi Leuta will make his Men’s Eagles Sevens debut at the Cathay Pacific/HSBC Hong Kong Sevens as Mike Friday’s team begins its stretch run to an Olympic-qualifying position. 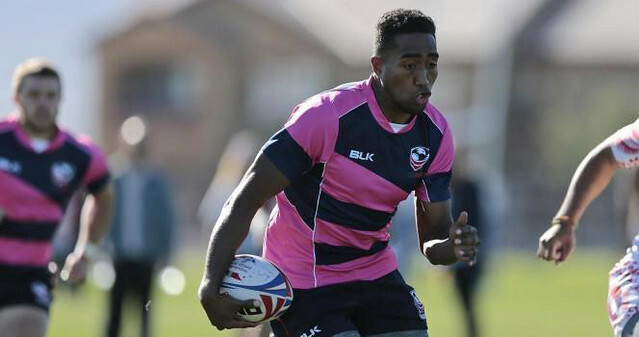 Leuta, an NSCRO player with the Cal State Monterey Bay Rugby Club, earned his first selection to the senior team after impressing the coaching staff at the Camp and with the USA Falcons development side at the Las Vegas Invitational. To read the full article from USA Rugby, click here.